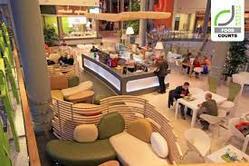 Best Food Court Interiors Professionals, Contractors, Designer, Decorator in India. We highly believe in providing our clients with excellent services. So that We undertake projects like Home Interior, Bedroom Interior, Kitchen Interior, Resorts Interior, Hotels Restaurant Interior, Hospital Interior, School Interior, Commercial Interior, Food court counter designing and Corporate Designing services to our clients. We render Food Court Kitchen Planning Service to our clients. In addition, these services are completed by experts by use of advanced techniques. Owing to high demand, we render these services in varied forms that meet on customers demand. In this service we do planning as per patrons demand. Our Company is well known in the market for the wide range of interior decoration services. we offer to the customer and they are including a wide range of food court interior designing.